Who’s not a fan of the hugely successful TV show Top Gear? Well if you’re a thin-skinned, tree-hugging Greenpeace activist with a penchant for Political Correctness and you have no sense of humour – you won’t like it. For everyone else it’s the best show on TV. SafeHarness is all about saving lives and providing a safer environment for those engaging in motor coach travel—particularly the safety of our children and those with special needs. Although new regulations have been envisioned requiring all new motor coach buses to be outfitted with seatbelts in the future, these regulations will not be fully implemented until 2017 at the earliest. Note, these are merely regulations and not laws. In addition, these regulations do not include the addition of seat belts on older models of coach buses. These older buses, estimated to be on the road, in some instances for as many as 10 to 15 years, don’t have an option for basic seatbelt safety…until now. 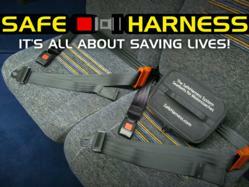 Donate to the cause and receive your very own SafeHarness as a thank you!! Have you ever been driving at night when you see a car coming towards you with only one headlight on? 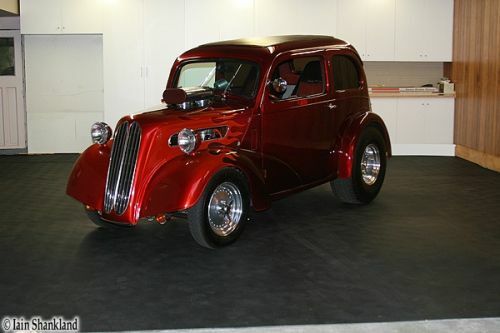 Is it a car? Or is it a motorbike, or even a truck? Recently my wife and I faced the daunting task of finding a more appropriate space to call home for our portrait photography business. At long last we’re happy to bring you a fun product review that involves both of man’s best friends: His Dog and His Car! If you’re a dog owner you’re no doubt all too familiar with taking the dog out to the park or the beach, only to return to the car with four very muddy or sandy paws – and heaven forbid if you have more than one dog!